Will board members have to pay tax on their fees? According to multiple tax experts, the answer is yes. Board members of large companies will be required to pay a value added tax of five per cent on the fees they are given for their services, according to two taxation lawyers and experts. Board members sit on the board of a company and vote on key business and corporate management issues, often acting as representatives of the shareholders. They are typically not employees of the company, and as a result are paid a fee to attend board meetings and an annual retainer for their services. “That’s the expectation,” said Shiraz Khan, a senior tax adviser in law firm Al Tamimi & Company’s tax practice. “It’s not exempt or zero rated,” he added. The global average compensation for a board member is around Dh132,000, according to a survey conducted by Lodestone Global, which would put the individual below the threshold of Dh375,000 for taxation. However, board members can make upwards of Dh7 million a year for their services at large, listed companies. 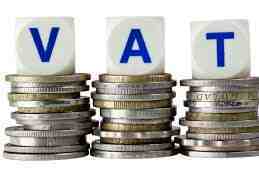 This would require them to register for VAT, and pay 5 per cent on their fees. Are the services provided in an independent capacity by the director or not. Said Amit Chib managing partner at Haynes Path Management Consultancy.